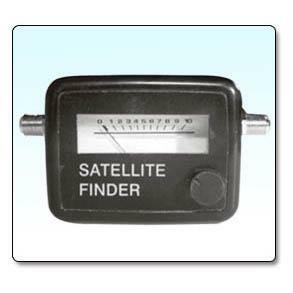 Satellite Finder SF-95 - new Signal Meter that monitors signal strength on any analog or digital signal. Easily setup satellite dishes on RVs, motor homes, picnic tables, truck, decks roofs, or any where you want to setup your dish. Since Satellite Finder SF-95 uses the power drawn from the line itself, no power cord is needed to make it light and function. This makes Satellite Finder SF-95 especially easy for the more remote dishes as well as RV installations. A tone provides the audio cues while the lighted meter provide all the visual cues you will need to set up alignment in minutes. Sunma International Industry Ltd.2002-2018©All Rights Reserved.